Wing Chun International is a martial arts organisation dedicated to bringing the art of Wing Chun (Kung Fu) to the town of Dunstable. Our Dunstable instructor Oskar (1st Technician Grade), is a very dedicated and passionate person, focused on his students, school and bringing the cutting egde martial art to you. Wing Chun Kung Fu was invented for adults and it is not a sport and has never had any inclination to be in a combative arena for the purpose of winning against an opponent, or to develop the human beings Ego to over power and influence others. For the majority of women, the thought of attending a martial arts class to learn to effectively defend themselves is possibly the worst thought of the day, typically a male dominated environment can be a very intimidating one, women who are looking to defend themselves from being attacked by a male is therefore a scary prospect to train with them. With this in mind, the philosophy of the Wing Chun Class room is very different to others, yet gives the female student the ability to learn in an environment that allows them to stay and feel safe, yet be given the confidence to train in a way where the new found skills and ability can be developed against predominantly those that it will be needed against in real life situations. At Wing Chun International we develop your child from the inside out through our award winning Bully Proof Programme. Come along and try our one month FREE trial lessons! Would you like more information on hours, classes and programs available at Wing Chun International - Dunstable? Please contact the school with your questions. Update the details, Write a Review or Report Error of Wing Chun International - Dunstable. This Chart shows the Martial Arts Styles offered most in Dunstable , UK area. 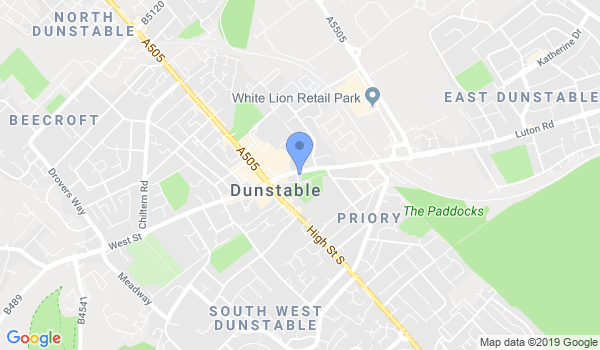 View a list of Dojo in Dunstable , or enter your address below to find schools closest to you.